Bath Remodeling & Additions in the Madison, WI area. Have you been dreaming of a new bathroom? Is your current bathroom outdated or in need of an improved layout? A Better Home can help with your bath remodeling or addition project. We also specialize in master suite additions. A newly remodeled bathroom or new bathroom addition will improve the value of your home. We can also help determine where space can be allocated to add a new bathroom. Contact us today to get started on your bathroom remodeling or addition project. Check out our gallery below to see the many award winning projects we’ve been a part of. 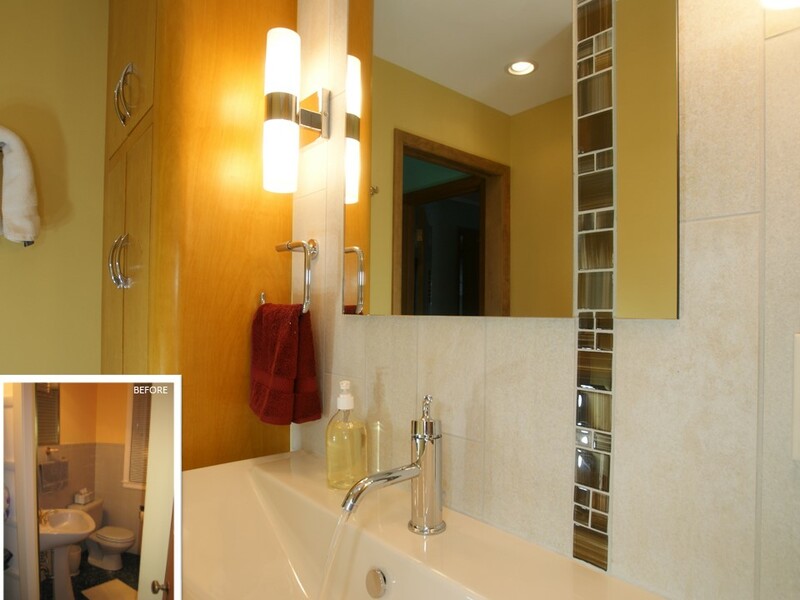 This award winning bathroom remodel in Madison, WI fits right in with the style of this retro home.